Instant approval for second hand car finance. Being blacklisted doesn’t mean you have to give up on the idea of upgrading your vehicle. With the right vehicle financing options, you can invest in a great second hand car and stand to benefit from a wealth of added advantages. Buying a second hand vehicle does not need to be a risky or daunting experience. By turning to leading dealerships on the market, you can rest assured you are being presented with a variety of vehicles which are viable options and will provide you with many years of service. Why are second hand cars the ideal option for blacklisted individuals? Second hand financing options provided by certain dealerships are designed to offer repayment options that are structured to offer lower monthly instalments and include various perks such as cash back amounts, accident cover, accident support and even tracking systems and immobilisers. What are the requirements to apply for such finance with Earn-a-Car? A clear criminal record and no prior history of unresolved issues with Earn-a-Car. Proof of: ID, physical address and income. 3 months original bank statements. Have a minimum of R15 000 deposit or 20% of the value of the vehicle you are interested in. Be able to afford a monthly instalment of R2500. 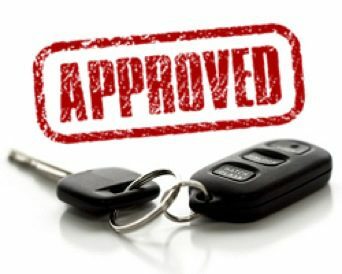 You will find we offer a quick vehicle financing pre-approval application form on our website for you to complete. This form can have you approved for finance instantly and you can be driving away in your chosen vehicle in as little as one hour. Ensure you have the abovementioned supporting documentation and give us a call, send us an email or pop into our offices to complete your application. Our experienced consultants will ensure your application is handled with professionalism and efficiency and soon you will be in the driving seat of your very own second hand car. Search for the ideal vehicle by criteria such as make and model, transmission, body type, mileage, budget, fuel type, age of vehicle and so on. We have just the right top quality second hand car for you. Contact us to apply for vehicle finance at Earn-a-Car today.